Deer antler velvet can act as a natural adaptogen, restoring homeostasis to an unbalanced body by helping where it is needed. Deer antler velvet has an effect on many systems of the body given its complex chemical composition. The active ingredients in deer antler velvet are mostly precursors that are required by the body to process substances that maintain its health and wellbeing. Deer antler velvet is a 100% natural food. It is not a synthetic, foreign substance. 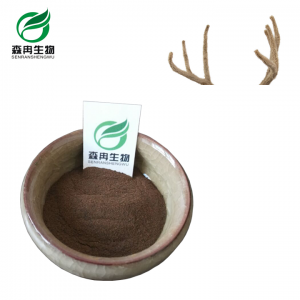 Therefore, deer antler velvet is safer and better at bringing the body to homeostasis than any drug because it is a whole food that acts on the whole body. Other studies by both Fisher and Wang indicate that antler may increase levels and can help prevent some conditions associated with aging. Russian researchers claim that compounds found in antler can ease the effects of menopause in women.